At Sachse Family Dentistry, we promise every patient a personalized treatment plan that meets their unique oral health needs. But every treatment plan begins with a solid foundation in general and preventive dental care. Regular dental attention allows us to ensure each patient is maintaining their optimal oral health, and regular visits make it possible for us to diagnose and treat any oral health condition that develops in the earliest stages. To find out more about preventive dentistry services or schedule a six month checkup, call our team today. The first step to establishing a lifetime of smile health is to attend dental checkups and teeth cleanings at least two times every year. 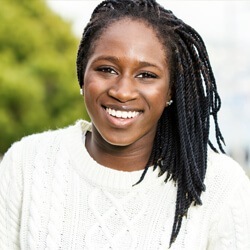 During these regular appointments, our team examines your smile for warning signs of common oral health concerns, helps you keep your teeth completely clean, and provides early intervention to correct damage and decay conservatively. 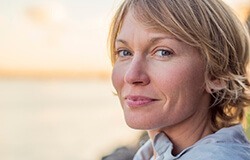 At every checkup, we’ll begin with a careful examination of the visible parts of your smile as well as maintaining up to date diagnostic images of the interior structures. We’ll be looking for early indicators of common dental health issues like tooth decay, gum disease, and oral cancer. Next, our skilled hygienist will carefully remove plaque and tartar buildup from even the hardest to access parts of your smile. Finally, Dr. Rottman will sit down with you to discuss our assessment of your current oral health and make suggestions for potential improvements. Sealants create a thin, protective barrier between tooth enamel and decay-causing bacteria, plaque, and tartar that flourish in the mouth. This is one of the fastest, most effective, and longest-lasting preventive dentistry solutions — and it can benefit any patient. We simply apply the sealant to the surfaces of teeth in a liquid form, and use a curing light to harden it in place. Once the dental sealants are applied, they can protect teeth for years. Temporomandibular joint dysfunction (TMD) and bruxism, the unconscious grinding and clenching of teeth, may have different causes, but at Sachse Family Dentistry, we’re often able to provide treatment for both of these common oral health conditions using custom crafted nightguards. 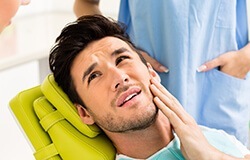 TMD occurs when the small joints connecting the jaw to the skull bone are strained or damaged. The result can be mild discomfort, a clicking or grinding sound when opening and closing the mouth, or complete jawbone immobility. Bruxism has a number of causes, but many patients simply develop (and never break) the unconscious habit during childhood. While it may seem like a harmless habit, significant dental wear can occur over time. Custom nightguards provide the two-fold benefit of repositioning the jaw in its most comfortable location and placing a physical barrier between teeth. Protecting your smile is always one of our top priorities, especially when it comes to our patients who are athletes. 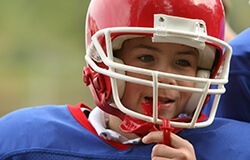 We recommend mouthguards for people engaging in any sporting event where their mouth may come in contact with hard surfaces, sports equipment or other athletes. Consistently wearing these sportsguards during practices and actual athletic matches is the best way to protect your teeth from potential damage. Our custom guards provide superior comfort and protection compared with over the counter varieties. Fluoride is a nutrient ingested from various foods and tap water. It’s essential for infants and children as it aids in the growth of strong, healthy bones — especially the teeth. Once teeth erupt from the gum line, topical fluoride is necessary to continue improving the density of tooth enamel, protecting teeth from decay and damage. Your toothpaste and mouthwash likely contain fluoride, and for many of our patients, it’s enough to keep teeth free from decay and damage. However, those patients who are prone to decay and kids who are still learning to care for their teeth may benefit from professional-grade topical fluoride treatments from our team. We can quickly apply a fluoride solution to teeth during any dental checkup to keep teeth strong and healthy. We love working with young patients. They, more than any of the others we treat, are quick to share a smile and make us laugh. Dr. Rottman and his team have years of experience caring for the special dental and behavioral needs of young patients. We always treat your little one with extra attention, and take the time to make sure your child is comfortable during their time in our office. 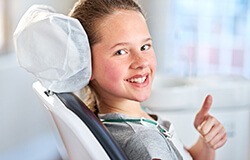 The most important aspect of caring for young patients is making sure kids develop positive associations with the dentist that will lead to a lifetime of healthy, happy smiles. Periodontal disease, widely referred to as gum disease, occurs when plaque and tartar buildup at the gum line irritates the soft tissue. When the condition is diagnosed in the early stages, we can typically reverse damage and renew oral health by scheduling more frequent professional teeth cleanings. However, in the advanced stage known as periodontitis, patients will need to undergo more extensive treatment. We begin renewing your oral health by performing two periodontal therapies: scaling and root planing. Scaling is the careful removal of all plaque and tartar buildup below the gums. Root planing smooths the root surfaces to decrease the risk for future buildup. We may also recommend oral or topical antibiotics and more frequent professional cleanings to maintain your renewed oral health.